This topic contains 9 replies, has 6 voices, and was last updated by 2 years, 7 months ago. Should we (on our individual campuses) alert chairs and faculty generally to OMICs, using the opportunity to provide resources and consulting services on predatory publishing for faculty? If we know faculty who have published in OMICS journals, should we let them know about the charges? At BMCC, I expect we’ll use this as an opportunity for outreach and education of chairs and faculty. We haven’t made a decision about contacting individual faculty who have published in the journals. What are you planning for your campus? Thanks in advance for any thoughts? Definitely something to consider. How did you identify faculty authors who published in OMICS journals? The time does seem right to educate researchers, both as readers and writers, to be careful out in the world of scholarly communications. 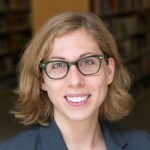 For example, we can promote the Think, Check, Submit web site and and any one of the Libguides created around CUNY that instruct on Author Rights and choosing a publisher (like Nancy Foasberg’s – http://qc-cuny.libguides.com/EvaluatePublisher). A lot of messages to get out there about being careful. Maybe we should work together on a one- or two page handout as well. I have one we could start with. Imperfect, but gives a sense of what’s there. Ah. I just checked City Tech. Glad to say no one/nothing came up. Has anyone decided whether to contact contributors individually? (I haven’t made up my mind yet.) If you do, will you share the email you send them? I imagine it’d be a delicate message to craft! Oh, oh. Found some colleagues. Thanks for giving these details Jill.